Six Milwaukee wedding photographers we’d like to introduce you to: We’ve scoped out our favorite wedding photographers in Milwaukee, Wisconsin. Now take a few minutes, peruse their work, read their bios, and see if they could be a good fit for you. Six Chicago wedding photographers who caught our eye: These talented Chicago-based photographers will capture all your best angles on your wedding day - and create vibrant, emotional images that will help you remember this day for years to come. 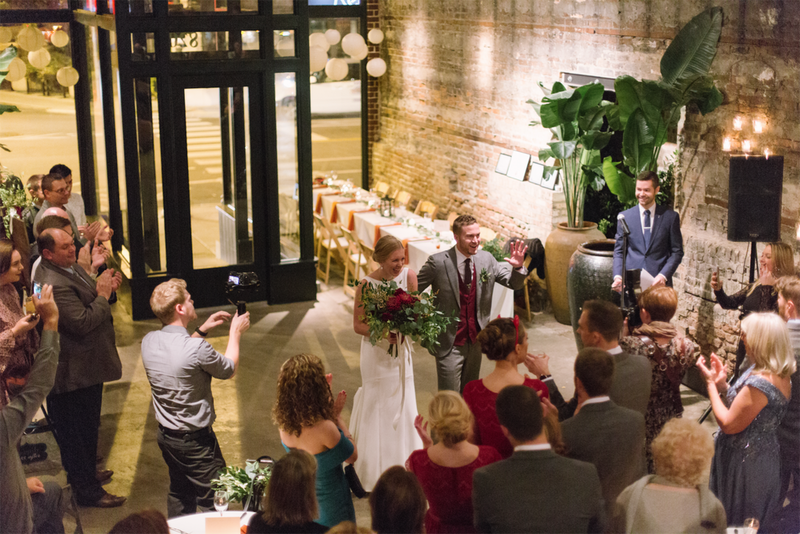 Find a Unique Wedding Venue - Bridge 410: For the first in a new series of video tours, check out this fun Chicago venue with industrial vibes. Watch video. Los Angeles Venue Guide: Dreaming of getting married in La La Land? There's no shortage of fabulous unconventional venues to check out. Read more. The Coolest Wedding Venues Near Seattle, Washington: We took a trip down the Seattle venue rabbit hole and what we found was a magical selection that ranged from modern urban spaces to fairyland treehouses. Read more. 8 Gorgeous Wedding Venues and Fashion Ideas to Mix and Match: So you've booked your dream venue...now what? Inspired by some of our favorite real venues, we've found some awesome looks to perfectly complement the aesthetic of your day. Time to shop! Read More. Kana & Larkin: A Chicago bride explains how she pulled off a stress-free wedding at the perfect venue for her, her husband, and her family. Read More. 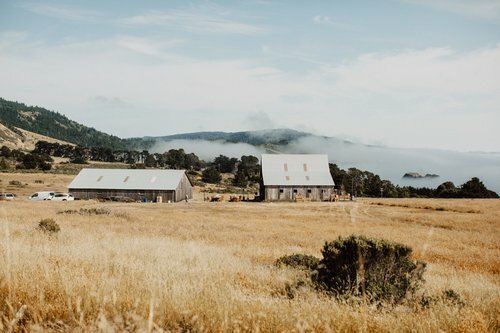 California Wine Country Venue Guide: Boasting some of the most beautiful geography in the country, Northern California is a wonderful destination for a wedding. Romantic vineyards, ocean views and rustic ranches are just a sample of the possible settings for your big day. Read More. 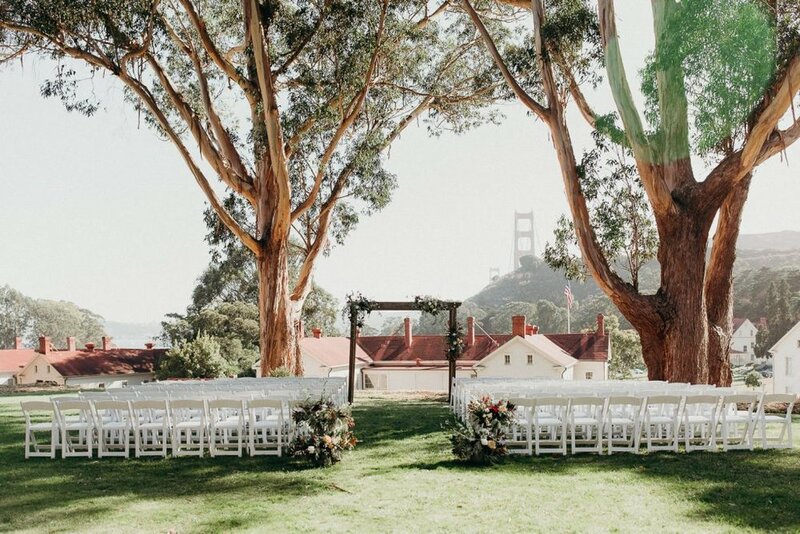 San Francisco Venue Guide: It’s no secret that San Francisco is one of the most desirable places to live, but it’s one of our favorite wedding markets, too. Check out some of the most breathtaking venues in the City by the Bay. Read More. Sarah & Dan: After years of lusting over this unique Chicago venue, bride Sarah tells us about how her vision came to life. Read More. Milwaukee Venue Guide: Looking to get married in Milwaukee, but want to avoid stuffy, overdone hotels and banquet halls? We’ve scouted the best venues that incorporate different aspects the city’s charm to make your day totally unique. Read More. Elizabeth & Conor: Elizabeth describes her vision for a laid back wedding weekend for friends and family to enjoy the great outdoors in her home state of Washington. Read More. Ron & Nicki: Ron tells us his approach to picking a wedding venue, how to tackle the planning process, and how a Lyft driver helped them wrap up their fun-filled day. Read More. 12 Chicago Wedding Venues Ideal for 150 Guest of Less: We’ve pulled our favorite venues that are unique, affordable, and practical for a beautiful wedding. Read More. Jill & Doug: These college sweethearts discuss getting married this past February in the midst of a Chicago snowstorm. Read More. Nix Traditions: This CEO bride discusses her vision for an outdoor wedding and teaches us a thing or two about how to avoid throwing a cookie cutter wedding. Read More. Chicago wedding venues for every interest: Are you a history nerd and do you want everyone on your guest list to know it? We know where to go. Read more.